With the economy as jittery as it is, and jobs as unstable as they are, it’s only logical to realize that guitarists, like everyone else, need to find the best bang for their buck in gear. And Gear-Vault, as we are the best-known music gear researchers on the web are searching for the best deals available to you. After intensive research and testing we turned to Cort Guitars, a Korean made guitar manufactured by Cor-Tek Cooperation. What we like about Cort is not only their fantastic price, but the quality craftsmanship and splendid quality control. Gear-Vault readers, meet Cort’s high-end model, M900 electric guitar, retails for $1,450 but can be found online for much less. Amazingly, Cort is a top guitar company that isn’t a common household name. How did Cort’s guitar line slip under the radar with other sites, such as Harmony-Central, premierguitar.com and guitarworld.com? Perhaps they don’t know quality like we do? So we took the time to dig up some user reviews and we’ll let them tell you the story about Cort’s M900. Hollow mahogany body, set mahogany neck with 22 frets. Two Mighty-mite Humbucker pick-ups with coil-tap, 1 volume, 1 tone control, 3-way PU selector. Fishman PowerBridge inside TonePros Bridge with volume control, 2nd 3-way selector (MM-Both-FP). Finished in Light Violin Burst (LVB). This guitar has an incredible selection of sounds. The guitar’s sustain is phenomenal. I tend to play 70s PRG rock, Pink Floyd, Rush, Genesis, etc. and this guitar does it beautifully. 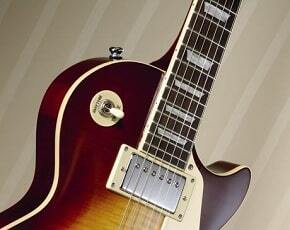 The humbucker gives a lovely fat sound and the coil-tap gives single coil sounds. Then the Fishman Powerbridge creates a beautiful electro-acoustic tone. Combining both types of pickup creates an almost Chorus type effect. This guitar has no serial number or model number on it. I got it at below trade price. I live in the UK and bought it from Italy. UPS lost it, and found it a week later. When I got it the outer packaging was damaged. The inner was OK, but one of the pickups was hanging off. This took about 15 minutes to fix, fiddly but not too difficult (fortunately the spring was still in the box). I also had to raise the action (which was very low) slightly to eliminate a buzz on the 3rd fret and replaced the strings immediately. Since it has no serial number on it, I guess it is a pre-production/demo model and it was never set up properly. I can live with that since I got it at such a bargain price. Despite all the above, I cannot fault the guitar now that I have set it up. It is so beautifully balanced, very light and comfortable, and is a real joy to play. And it looks gorgeous. I have given it a high score, because I wouldn't expect production models to be any problem. I only play at home, but I am sure it would stand up to any situation. Everything (now) seems rock solid. Customer Support: No Opinion - Never had to call them. I have been playing for a number of years. 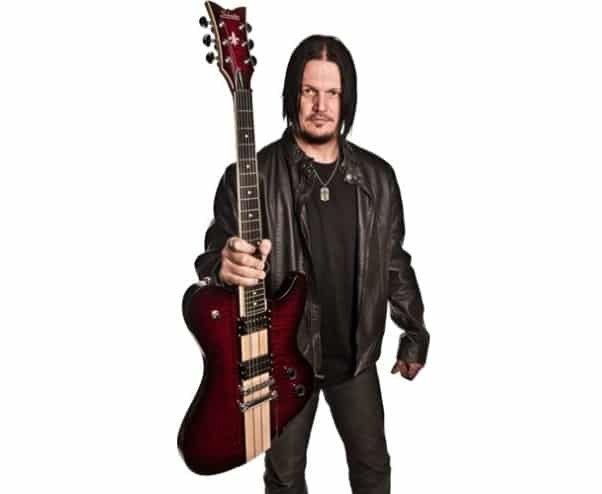 I also own a Charvette by Charvel and a Celebrity by Ovation. This guitar pretty much replaces them both. If stolen, I would be heartbroken, and I would definitely get another one. I love everything about it. It just begs to be played, and rewards you every time you do. STRING Comes with D'addario EXL110(046-010). I put GHS Nickelrockers on there, and they're way better. NOTE: Came with silver knobs, and I replaced them with Amber Speed Knobs. Looks better, and looks more like a McCarty that way. This guitar sounds amazing. I was previously using a Fender Nashville Power Tele, and the M900 out-performs it. I play a wide variety of music, and it suits each style extremely well. I'm currently running it through a Peavey Classic 50 combo amp, and typically use a Whirlwind D.I. box when plugging into the P.A. system. There is some feedback, as with any hollowbody, but is totally manageable in every sense of the word. The Mighty Mite pickups sound great, and are working extremely well with my Boss pedals. The acoustic sound is clear, and warm. Wonderful combination. The guitar arrived ready to play - but I had it set up anyways...and I suggest anyone having that done with any new guitar. As stated above, I replaced the chrome knobs with Les Paul style Amber Speed Knobs - and it made the guitar look fantastic. In many ways, this is the "poor man's" hollowbody McCarty. But don't let the price fool you - this is an incredible guitar. The first show I played, my bandmates commented on the excellent sound, and local enthusiasts made sure to compliment how beautiful the guitar is. This is a solid guitar - top to bottom. It's lightweight, so don't treat it like it's a Les Paul or something...but it's definitely dependable. With back-up strings and a battery, there's no need for a backup. Anything else would seem "less". I haven't dealt with the company directly, and mine is not under warranty. On a scale from 1 to 10, this is an 11. Were I ever to lose it or heaven forbid ruin it, I'd buy another instantly. I'm a working musician, and this does everything I need it to, on a grand scale. 3) You can mix 1 and 2 sounds using all the controls together (PU and piezo volumes, tones. and also coil tap on-off). 4) If you stick a stereo jack with a Y cable you can differently route PU signal and piezo signal to different amplifiers or PA systems. The guitar is passive however needs a battery *always* not only for piezo. Without the battery you can't even listen to the pickups that are because of the internal cabling and mixing capabilities between piezo and PU. Cort claims that the battery would last 600 hours more ore less. Unfortunately there is no led for battery power and you need a tool to open the compartment and change the battery (standard 9v). so it's better not to leave the guitar jack inserted when not playing the preserve battery power (I think!). That the only down of the guitar in my opinion. But I'll give it a 10 anyway! I'm writing this because this guitar deserves not only a mere one review! At the moment I've played the guitar alone and with line6 Guitarport on my pc (with a good 5.1 system). I’m looking forward to try it with my Fender Deville and Vox Tonelab SE setups. I tend to play funky/soul/pop stuff. It sounds amazing! Electrically sounds sort like a typical es335 with body, attack and a woody tone, no noise at all, lots of sustain. Coil-tapping delivers nice single coil sound, not really Fender-ish, just different but nice to use. The piezo is amazing, real acoustic sound! Very nice attack with amazing acoustic type snap. Using both PU and piezo you can get very rich sounds to fatten up you acoustic tone, or give more "acoustic-ness" to the electric sound. Of course you can play it alone without amp and still have a good volume sound for practicing. I didn't find any flaws on the finish. it looks gorgeous. the finish it's all very neat. Fretboard is 12" radius, short scale (compared to fender) and that make the guitar really compact and easy to play, like a PRS or Musicman axis/silhouette. Of course if you come from Strats (like I do) you need some time to get used to that. The neck is a joy to play, really fast and smooth, perfect jumbo frets wide but quite low. Nut is well shaped. Action was really low from factory; I've just raised [the string action] a good bit and it sounds really good with no big fret buzz. You can make huge bends easily. Great sustain of every string even on the thinnest ones. No clicks or noise or whatsoever from knobs and selectors. I just swapped the PU volume and tone chrome knobs for more vintage looking bell amber color Gibson like knobs. I like it more that way. The guitar came with brand new D'addario .10 not the usual crappy strings. The coil tap on the tone is not one click push-pull but you have actually to pull it off or push it down. This maybe would be not too practical but it avoids that it pulls of when you don't want to or by contact with the gig bag or case. Still not use it on rehearsal or live, but it feels solid. I really dig the left strap button on the side like fenders, not like Gibson style on the back of the neck plate. Of course is a hollow body so you need some extra care when carrying it around. Don’t really know but the official store where I bought it gave me a free Cort gig bag, some picks, the tools for tuning the guitar and a big Cort brochure with 2006/2007 bass and guitar products. I have been playing for almost 15 years now. I bought this guitar online from the store, never seen it live or even tried it, just decide to buy it looking on the specs and info! I was a little thrilled about that but now I'm fully satisfied. I'm also owner of a fender Strato custom '62, Tonelab SE (for direct PA setup), Fender Deville (with pedals). This guitar is a bargain for that price. it's like two or even three guitars in one, it has tons of good sounds, great finish, great playability, and looks gorgeous. it is compact, light and balanced which is nice to have on a hollow body. I'd only want it to have and easy access battery compartment, and maybe a battery led too.